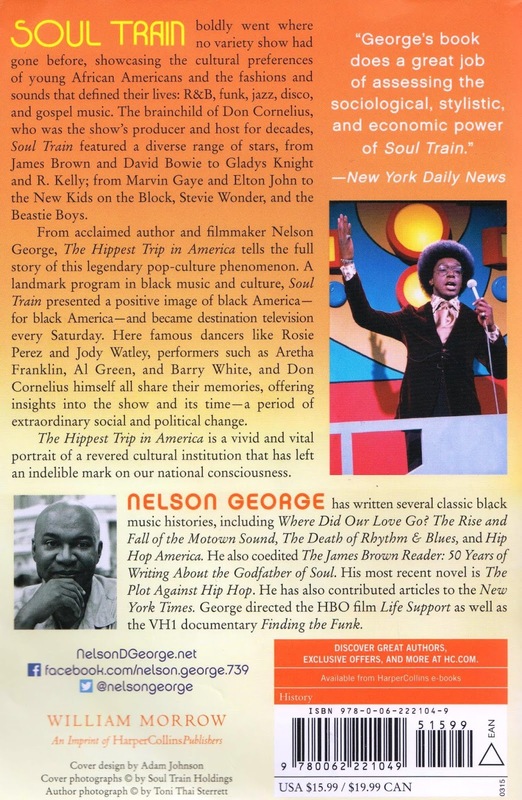 I picked this up in transit and finished last night: Nelson George's The Hippest Trip in America: Soul Train and the Evolution of Style and Culture (William Morrow, 2015 paperback edition; originally published in 2014). 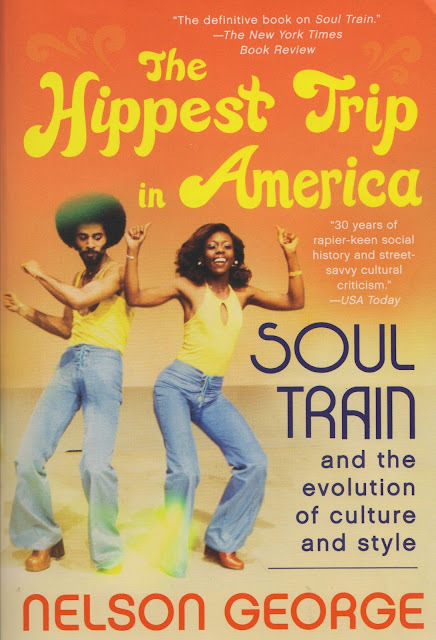 As its full title lays out, this nifty tome covers the history, context and impact of Soul Train, from its Chicago roots to LA, from Don Cornelius to the singers, from the bands and dancers to the business angles. Don Cornelius and Soul Train are a trip. I still sporadically catch syndicated episodes and am especially enthralled by the 1970s performances. One of my favorites features a chubby young Al Sharpton giving James Brown some kind of improvised award -- real showmanship at work all around and all the time. This is how it's done, people. Can you dig? I used to watch Soul Train pretty regularly, for the pretty girls of course. Erik-OMG! We used to love soul train. It was a total curiousity to up north kids. We used to mock all the dance moves!